One of the worst things about playing guitar is changing the strings. Specifically spending what feels like a million years winding the strings off of and on to the post. Even with a winder it’s still a chore meaning I don’t change them as often as I should. These allow you to feed the string through, a mechanism locks the string in place 1 and then you just tune to pitch in less than a single turn of the post. After a lot of careful checking I chose a set of Gotoh SG381 Chrome Magnum Lock tuners from WD Music. These looks near identical to the factory tuner with the same shape and size key, and they should fit the factory holes for the original tuners. Chrome was chosen to match the factory fitted items. Whilst the PRS Specs say nickel hardware it was clearly chrome but with nickel screws, you can see the screws are more yellow when you look closely. Though check your own guitar first, don’t just take my word for it. Late last year I started re-learning the guitar. I’ve been learning using online lessons by Justin Guitar. I’ve been slowly upgrading my equipment, buying a small practice amp and a nice PRS SE Standard 24 as rewards for my progress. But the time came to start playing with effects pedals! Being the sort of person who I am I decided to build a DIY one. After a period of research online I decided to build a basic Fuzz, but using NPN transistors rather than the more traditional PNP transistors to allow me to use a mains adapter. This turned out to be a smart move. 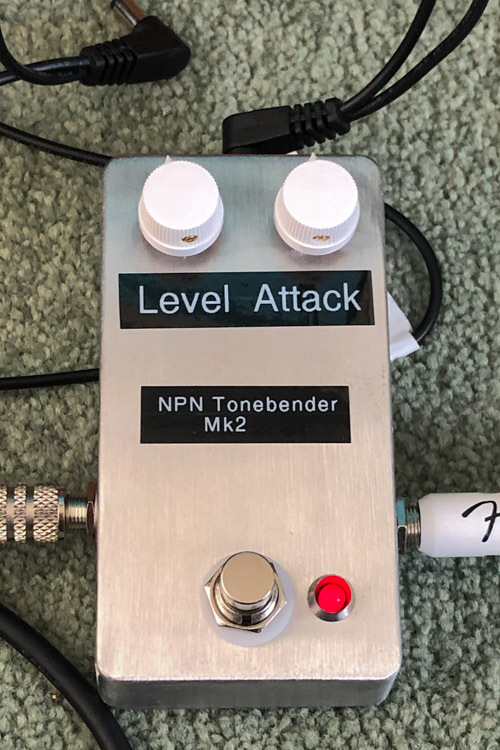 I’ve recently been working on a DIY guitar effects pedal. A lot of these use old vintage parts long since replaced as they are designs from the 60s. This means finding suitable bits on eBay. Most of the old British/American parts are highly desirable, hard to find and so expensive. What are still pretty easy to get hold of cheaply are old soviet parts. You can usually get 10 or more units for 1 of the old british parts. 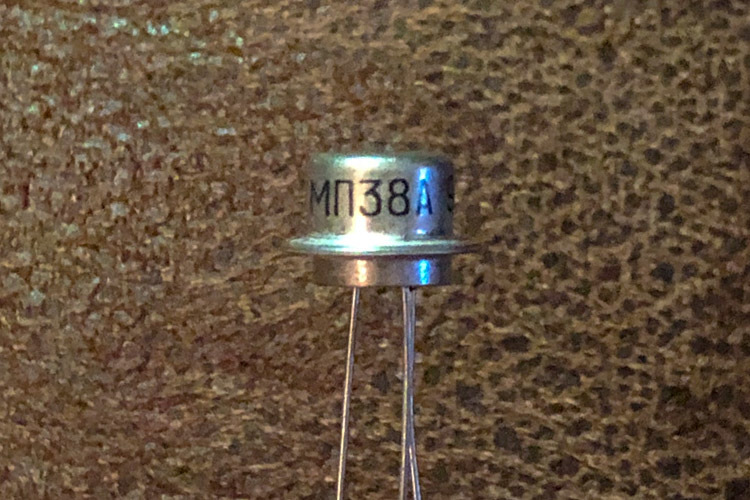 The part in question today is the Russian MP38A NPN Germanium Transistor. Ignoring the issue of reliablity and gain matching for a moment 1, just figuring out the pin outs are an issue when the datasheet is in Russian! 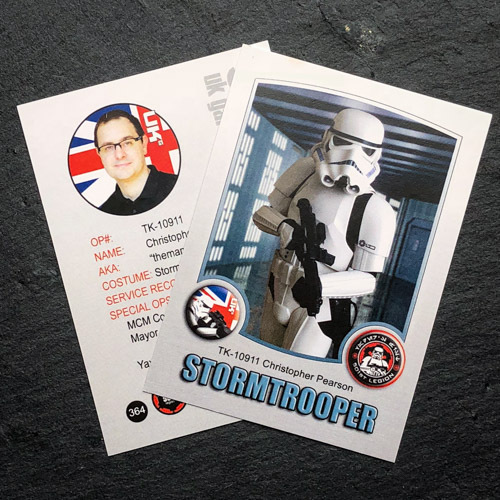 It’s a bit late but last November whilst trooping at MCM Comicon Birmigham I took part in a costuming talk on one of the small stages. 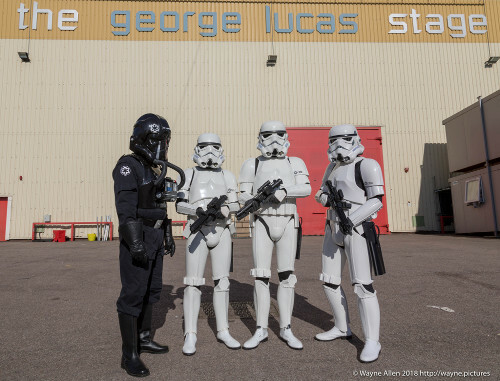 The talk was presented by UKG Commanding officer Gary Hailes and covers an assortment of Star Wars costumes as well as a few from other films. I’m the Stormtrooper who is up first. Just a small insight into some of the detail and effort that goes into the costumes we build for both the 501st Legion and Reel Icons. At the weekend I was lucky enough to be able to return once again to where it all started: Elstree Studios in Borehamwood just 11 miles from home. This was a troop at ElstreeCon 2.0 in aid of The National Autism Society. Whilst small this was an enjoyable event with a few actors and actresses in attendance. In the afternoon we were lucky enough to be escorted onto the studio lot, past active sets, to the George Lucas Stage for a few photos! 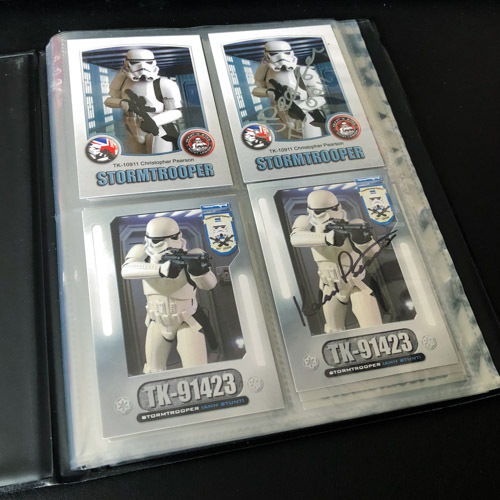 A full write up is available on my Troop log on FISD.